Capacitor Voltage Transformer CPB is designed for revenue metering and protection in high voltage networks. It is of single-phase design and intended for connection between phase and ground in networks with insulated or direct-grounded neutral points. The high quality, state of the art, automated manufacturing of the capacitor elements provides consistent quality to ensure long term reliability and performance. Due to the optimized proportions of the mixed dielectric, the capacitor elements are subject to low electrical stress with high stability under extreme temperature variations. 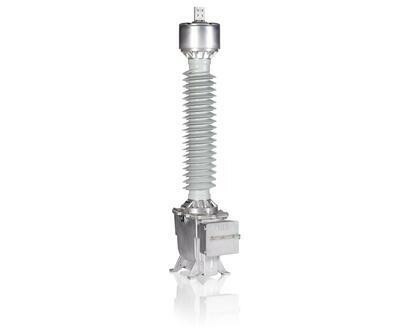 The CPB is available from 72 kV up to 800 kV. It can withstand a wide range of shifting conditions including polar and desert climates. The low voltage stresses within the capacitor elements ensure a safe and reliable product. ABB provides most efficient ferroresonance damping systems available in the market. ABB´s damping technology guarantees a safe and stable elimination of ferroresonance at all frequencies and voltages up to rated voltage factor. Good accuracy under all service conditions, independent of variations in temperature, frequency, voltage and burden. Mixed dielectric (polypropylene and paper) in unique proportions, which is far more stable to temperature variations than other mixed dielectrics, and gives the CPB superior accuracy stability. CPB is designed and adjusted at factory for the burden and accuracy class according to specifications. ABB's wide experience and expertise helps find an optimum solution.